It is the second time we visit this restaurant and both times we have been surprised by the high quality of the food. The place does not look like a place where they serve food of this quality. We had expected a onetime tourist trap the first time, but could not find any other place then. This second time we learned that it was not just a lucky occasion – we were impressed again. Service is friendly and correct. We had a very good lunch at this place which was good value. They also served one of the few acceptable wines we had in Corsica. So - we decided to return in the evening. In the evening I decided to take them up on the suggested fresh grilled fish and my wife had veal. The fish was good, but not as elaborated as you would expect for a price of 70 euro per kilo. My wife's veal was over-cooked, dry and not tender. It did not make the situation better that a group of 20 Harley-Davidson drivers of our own age with substantially younger spouses came in and started to behave like drunk teenagers on vacation. The service in this restaurant is however very professional and friendly. The view from the restaurant is magnificent. This is not a restaurant worth a detour for, but if you are in Erbalunga and just want something simple to eat down at the harbour, this is a good choice. They have a quite good pizza and the view is magnificent. They however do not accept cards of any kind. We were a bit tired of eating fish every day so we decided to eat meat this evening. We ordered what we thought would be their best meat-dish. They asked how we wanted it cooked and we were expecting something extra as it was file with white truffles. When the meat came it was heavily over-cooked. Mine was medium, which was ordered red and my wife's, which was ordered medium was well done, totally dry and grey. We should have ordered fish as other people did and they were very happy with their meals. The waiter was devastated and offered to give us new meat, but as we had to wait forever for our food and was really hungry we finished most of it despite the quality. We did not want to wait for another 20 minutes. The waiter was very nice and she only charges us for one meal. We think it was just a misfortune, that was not typical for the restaurant. The dessert was very good and the cheese we got was also very good. Just at the market in old town you find a few restaurants at the sea-side. We were looking for something simple and our choice was Le Forum. They had the best pizza we have had for a long time. Even better than my wife's. Normally I am not a pizza-fan, but this was perfect, with extremely thin doe and very tasty. This restaurant is not reviewed entirely because we recommend it, but rather because it might be your choice if you are looking for something a bit better than the average in Bonifacio. It looks good and it is on the expensive side and pretend to be very posh. We got an expression that it is to this place you go to impress. The service is really too much and they address you with Sir in every other word. We are not used to that in continental France, were even a three star Guide Michelin restaurant has very relaxed service – and we do not feel comfortable with it. 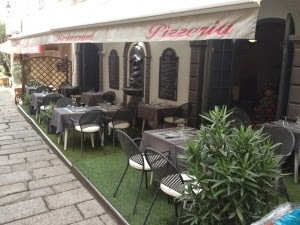 From continental France we are used to that it is the same food or at least the same quality if you order a menu as if you order from the a la carte - maybe a little smaller portion sometimes – which is fine with us as we are small eaters. Therefore we ordered the menu and could not understand why the couple next to us ordered the same thing as a la carte. My wife had a nice starter and I had fish soup that was not anything extra, something I had expected in a fish restaurant with this image. For main dish we both had turbot, which was a disappointment. We got small tail pieces which were overcooked and had a funny smell but no taste. The vegetables were however perfectly cooked and crispy. My wife’s cheese was good and my iles flottant with fresh fruit was very nice. Quite a few things irritated us. They added 300% on the wine for just opening the bottle. They were less interested in us when we did not order the fresh fish or langouste they offered us. We thought it was a little too much to pay 80 euros per kilo for a fish that was just grilled. And as I said – we felt as they tried to sell us a used car. We were so impressed of the food at lunch so we reserved a table for the evening also. At lunch we got a nice plate of local Corsican charcuterie and a nice pasta with a tasty local sausage. The tiramisu for dessert was absolutely fantastic. In the evening I made the mistake of ordering veal with Parmesan cheese, which I shouldn’t have done. I am not fond of the way Italians over-cook their meat, but my wife thought it was very nice. As we were still not very hungry after the lunch we shared a "baba au rum" for dessert. It was lovely, which even my wife, who normally don’t like it, thought. The service at this restaurant is friendly, relaxed and very professional. 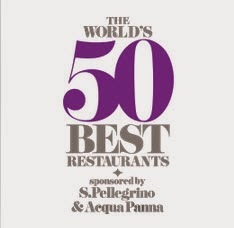 This is a very special restaurant and very popular. We passed many restaurants in the old town and they were all almost empty, but at this place we could not get a table inside, but we could sit outside. It was packed. While we were eating it was a constant stream of people trying to get in. They have one menu and they have had the same food since they started out in the county-side many years before they moved into town. They also have one wine, made especially for them. They had however three or four choices for main course and gave us two starters. The food is traditional country cooking with specialties from Corsica. I enjoyed it very much, but my wife thought it was a bit too rustic and heavy. My guess is that most couples would have the same differences about this kind of food. I will however recommend you to go here as it is obviously as genuine you can get it. The interior is really different and worth a visit. Another reason is that the service is very welcoming and friendly. Be aware however – they only accept cash. 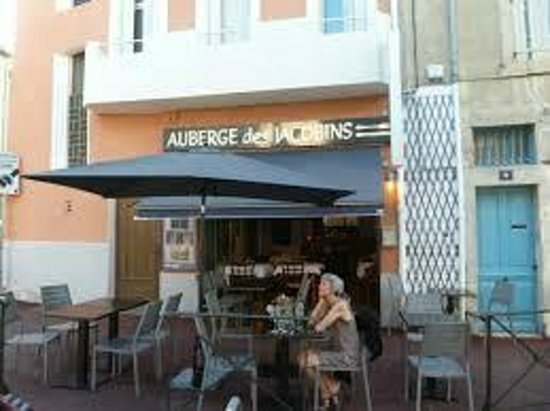 We were told by several sources that this is the best restaurant in Ajaccio. Therefore we were very surprised to find a very simple, quite small restaurant in a back street. Just one person was serving and we could only see one person in the semi-open kitchen. The price of the lunch menu was also very reasonable but the food was really excellent. For starter we had a risotto that was very tasty and the main course was one of the best fish dishes we had on Corsica. The waiter told us it was a local fish that was not that common in restaurants as it is full of bones. We saw nothing of those however – they were taken care of by the chef. The taste was really good. My wife got some nice cheese for dessert and I had a very simple plate with strawberries and wiped cream. The service was very nice and he took time for everyone despite he had responsibility for the whole restaurant. We tried to go there when we returned to Ajaccio a week later, but it was fully booked. We were however impressed that the waiter said: “You were here a week ago for lunch, weren’t you. You were sitting there,” he said and pointed at our table. It did not help as he had no table for us, but we felt good anyway. There are quite a few restaurants in the nice little village Porto. Just by chance we went to La Tour Genoise to see if we could eat some fish. We had a very nice filé of dorade royale and it was no problem to change the mostly boring yellow rise for French fries. The service was nice and polite and we could get a table by the window despite we were only two. Half way over the mountain going from coast to coast we came to the town Corte. To find a decent restaurant is always a chance in an unknown place. 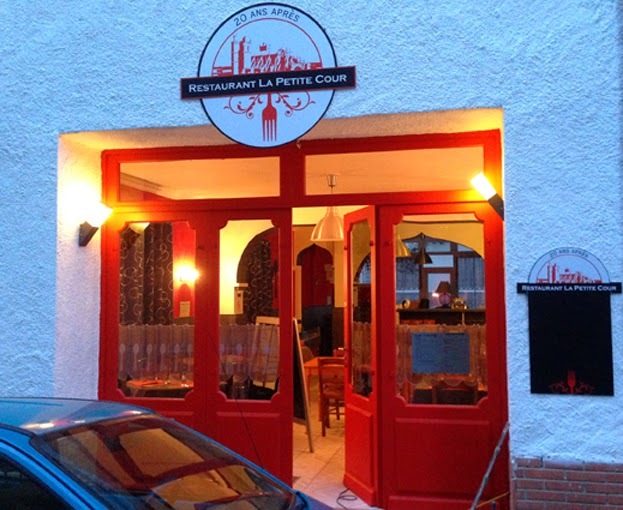 Of some reason, we did not understand ourselves, we choose the small restaurant L’Annexe. It was a good choice. The lunch that was very inexpensive was excellent. My wife had cannelloni filled with the local cheese brocciu and I had two small fried trout, also with brocciu. It was maybe the best fish I had on Corsica. This restaurant was recommended by Guide Michelin and had got two knives and forks. 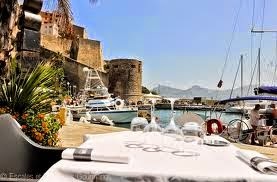 It was maybe the best meal on Corsica and certainly the best value. We had their menu that started with a delicious dish on scallops placed on a sort of crab-cake in a very tasty bisque. The main dish was a very well prepared fish on a bed of risotto. The fish was a St Pierre. My wife had a lovely chocolate dessert and I had “pain perdu”. The service was very nice and professional and we were really sorry we did not go back the next day. We visited this restaurant two years ago when we had a short and very pleasant mini-vacation to Costa Brava. When my wife, myself and our friend Eva revisited Platja d’Aro this week we had to go back to Don Eduardo on the beach. Last time we had a very nice fish lunch and a meat dinner that was perfect. This time they had got fresh sole so we settled for that. It was as perfect as we remembered it from last time. The restaurant is one of the many places on the beach and the service is professional and very relaxed. It is a place where we feel we can trust them to recommend both the food and the wine. After some troubles finding a good restaurant that was not closed on Tuesdays we were recommended by a very helpful person in a neighbor village to go to Restaurant Casamar in Llafranc on Costa Brava. This family-owned restaurant was really something else and well worth its star in Guide Michelin. It is beautifully situated high up with a fantastic view over the Mediterranean bay bellow. All three of us had just a main course as we had planned to eat at a good restaurant in the evening also. We had chateaubriand which came with a puree of potatoes and a sauce with a mild mustard taste. It was delicious and the meat was perfectly cooked to our liking and very generous. The service was relaxed and very professional. 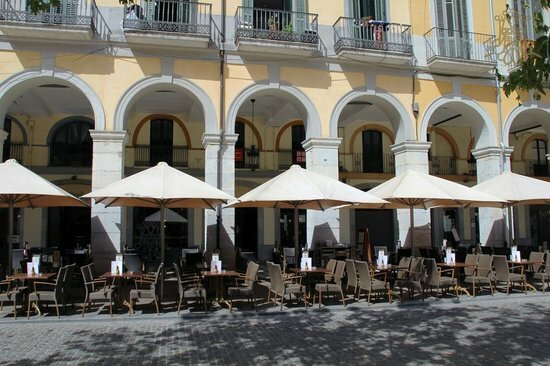 We had planned to eat at a couple of nice restaurants on our visit to Costa Brava. What we did not know was that most places are closed on Tuesdays. We were however lucky at lunch and found a fantastic place, but in the evening it looked as we should have to eat at a fast food place or a place with roaring tourists that were more interested in drinking than eating. Again we asked a lady we met in the street that we categorized as someone who might have our kind of taste of restaurants. She directed us to a very small tapas restaurant where we only heard Catalan language when we entered the place. It was this family owned restaurant with the funny name KøSa bistrõ. The food was however not funny at all, but really delicious. It was a kind of local version of tapas that was freshly made by the chef and served on big plates for the whole party. We got the dishes one by one as we ate. We had of course Iberian ham and also big tempura fried shrimps, filled artichokes, cheese, sliced entrecote and I had a lovely baked apple. 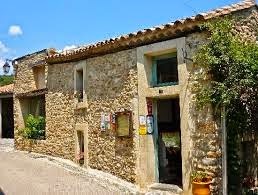 Caunes Minervois is a beautiful village with a history going back to the 8th century and with a lot to explore. You must not miss the marble mine with the famous red marble. The oldest restaurant and hotel in the village is d’Alibert that is going back to the 16th century and has been I the family Giuraud for generations. It is situated in the core of the village and can only be comfortably reached on foot. Next to the ancient restaurant you find the birth place of Pontus de la Gardie whose descendants for centuries became the richest and most influential generals and noblemen in Sweden, starting in the 16th century. The restaurant d’Alibert is really worth a visit. It is housed in a historic building and the courtyard is magnificent. The dining room is a strange mixture of very attractive pieces of genuine art, mostly marble sculptures and very “kitschy” artifacts. The food is very good and the service is, represented by the owner himself, laid-back, humorous, personal and very nice. You enjoy the tasty food with a background of soft jazz music on a pleasant volume. We all had to try something very different for starter – a crème-brûlée on foie-gras and Jerusalem artichoke. It was delicious! I had guinea-fowl and the women had lamb and confit de canard, which all were very good. 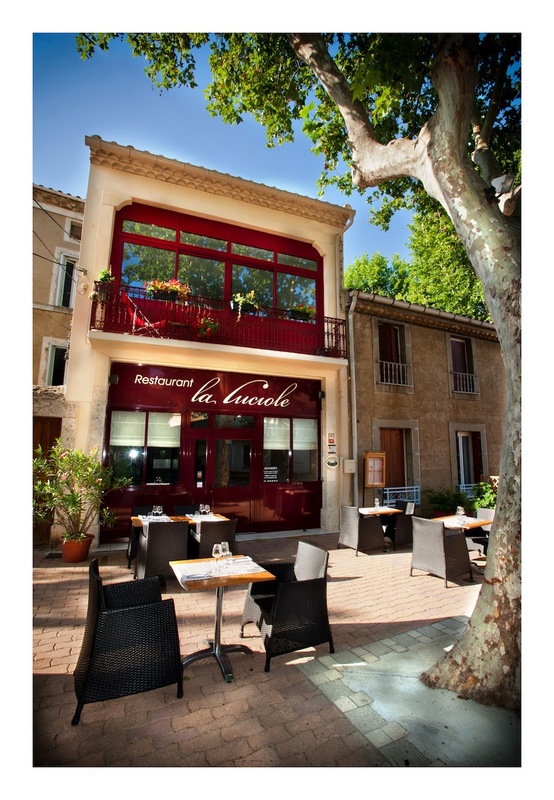 It is a restaurant that serves local French food perfectly made and they serve it the old fashioned way where you get all parts of the meal separately in deep dishes, individually or for the whole table. A very nice way there everybody can help themselves to how much they like to eat or one can even share or taste each other’s dishes. Revisited March 2015 for friends 70th anniversary: Lovely, delicious and friendly! We were 10 at the table. We found this restaurant by accident. We were wandering around in the small winding streets just north of the Canal de Robine in Narbonne on May 1st and just saw it and it was closed. On the following Monday we were looking for a place for lunch and we remembered it. I do not think any tourist would find the way to the place but the locals obviously do. The place has a good atmosphere, and the couple who owns it gave us a feeling this could be nice. We were not disappointed. The lunch of the day was excellent. I had entrecote which was perfect and very tender and so was the skewers on veal my wife had. We could choose among three mains and they were accompanied by lovely baked potatoes. The starter was a buffet with a lot of very tasty small dishes. We sat in the little garden or rather a little patio in the back. The service was excellent. We will certainly go back to this place and try their more expensive menus. This time I got three courses for just 15.50 euros and that was really good value. The only thing we complained about was my wife’s “café noisette” which was cold as it get if you put cold milk into a small cup of espresso. When we complained about it she got a new cup – this time with steamed milk. Minerve is a fantastic place that is a must to visit in this area. The Restaurant Relais Chantovent is a good place to have the lunch. The view from the restaurant’s terrace over the beautiful river canyon is magnificent. The food is good and the look of it even better, but at our visit there was a few buts. For starter I had trout that was supposed to be made as a gravlax. As gravlax is something of a national dish in Sweden and as I make it several times a year I am quite picky and this was not made the right way. It is supposed to be marinated for two days in a mixture of 50/50 of sugar and salt. They had overdone the salt so it was far too salty, which was a pity as the rest of the dish was very tasty, but the intense saltiness of the fish ruined the whole thing. My main dish was a 24 hours cooked pork, which was not as tender as it should be after such long time in low temperature. 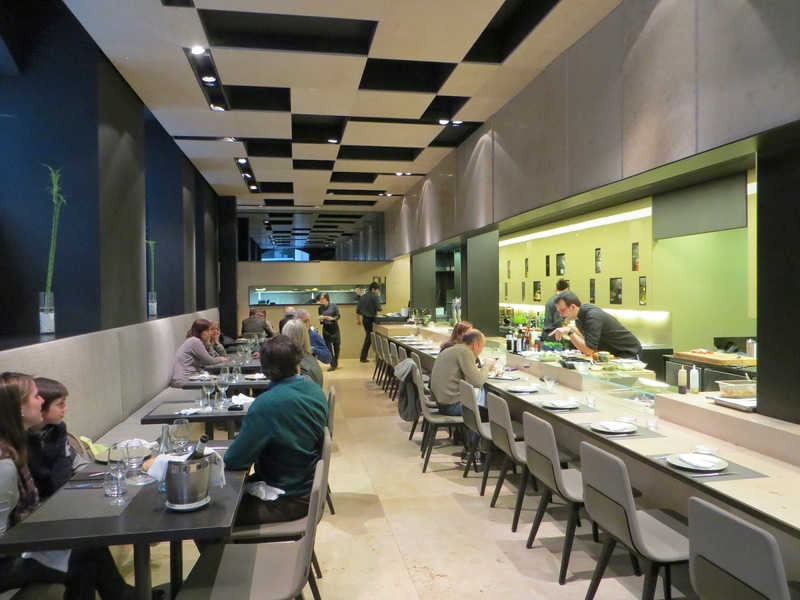 The restaurant pretends to be a gourmet restaurant with traditional food. I would rather say it is a restaurant with enhanced country cooking. I say this as they serve the same garnish with all dishes if it is an expensive or cheaper menu or if it is fish or meat. On a country cooking restaurant that is all right, but not in a gourmet restaurant. It is a pity as the main ingredients was good, well cooked and tasty. Finally the deserts were, in my taste, far too sweet and lacked more subtle dimensions than just being sweet.